Introduction: It is often stated that people in the Middle Ages accepted war and its commonplace violence against non-combatants with fatalism. They argue that because attacking non-combatants was a pragmatic way to conduct war people had no reason to object. Accordingly, devastation found widespread acceptance amongst English writers during periods of success, such as Edward III’s reign (1327–77). Late-medieval war is also sometimes seen as a mark of brutality, especially in contrast with the seemingly less violent ideals of chivalry and Christianity. However, it is rarely asked what combatants thought of their own actions. Indeed, some claim that the many surviving letters by combatants “tell us little about the men who wrote them”, while ignoring their careful use of rhetoric entirely. 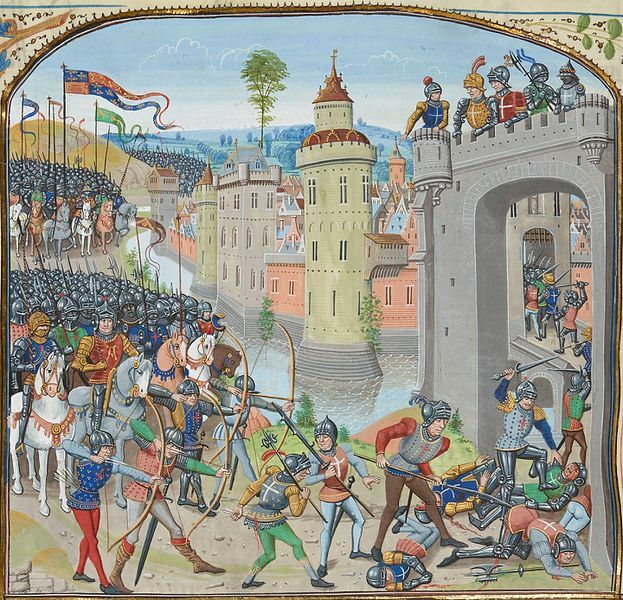 In this essay I challenge these notions by exploring English combatants’ presentation of devastation and attacks against noncombatants during the wars of Edward III. First I investigate how combatants justify their bellicosity by elevating non-combatants to equal combatant status. I then consider how combatants sidestep the issue of representing non-combatant victims of devastation through the use of short formulaic phrases and paying more attention to exciting actions like skirmishes and battles. I conclude by showing how combatants expressed a keen interest in the ethical problems of attacking non-combatants.